Welcome to the worlds greatest guide to Women's Swimwear. Are you actually looking for Women's Swimwear? Well, we hope you are because the reality is that you have found our Women's Swimwear page. Women's swimwear is clothing designed to be worn by women engaging in sun bathing or water-based activities. For example, swimsuits are fabulous if you are planning on doing water sports, such as swimming, diving, water skiing, surfing, etc. 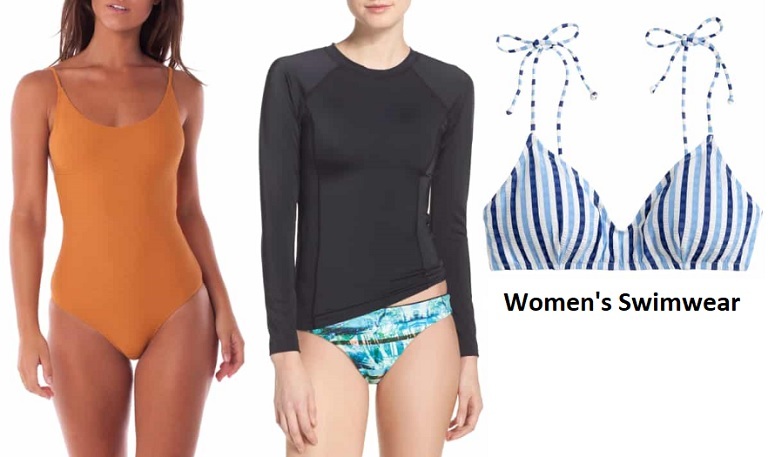 Women's swimwear includes a wide variety of style options. A few of the primary styles includes bikinis, one-piece swimsuits, bandeau, tankini, boardshorts, etc. Ladies swimsuits are often skin-tight but they can also be loose-fitting. Swimsuits range from designs that almost completely cover the body to designs that expose almost all of the body. What ever style of swimwear you are wearing is in fashion today for sure. If you want to be even more stylish, you should wear your favorite Women's Swimwear. Don't forget to check the women's swimsuits page as well. Apparel Search is a leading guide to fashion, style, clothing, glam and all things relevant to apparel. We hope that you find this women's swimwear page to be helpful.